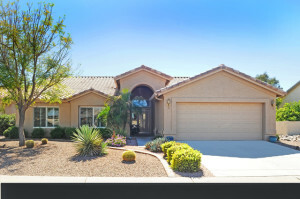 Welcome to 24118 Sunbrook in Sun Lakes AZ. If you are looking for homes for sale in Sun Lakes this is located in gated Oakwood Country Club and is situated on a north/south facing lot with golf course and lakefront views. Location is everything and this home is on a quiet cul-de-sac with no through traffic and a short golf cart ride or walk to the clubhouse, golf course, swimming pool, fitness center and IronOaks amenities. This Sedona floor plan is 2,022 square feet with two bedrooms, two baths and separate den or office. The kitchen has upgraded cabinets, granite counter tops and overlooks the dining and great room with views of the golf course and lake. You will love the kitchen island, breakfast nook and walk in pantry. Plantation shutters cover the windows and this home is a breeze to decorate with the neutral carpet, tile and decorative paint. The master suite is spacious with the master bath offering dual vanities, shower, separate toilet room and two closets. Your guests will enjoy a spacious guest bedroom and nearby bath. Two car garage with plenty of room for your car and golf cart. This home has a soft water and reverse osmosis drinking filtration system. 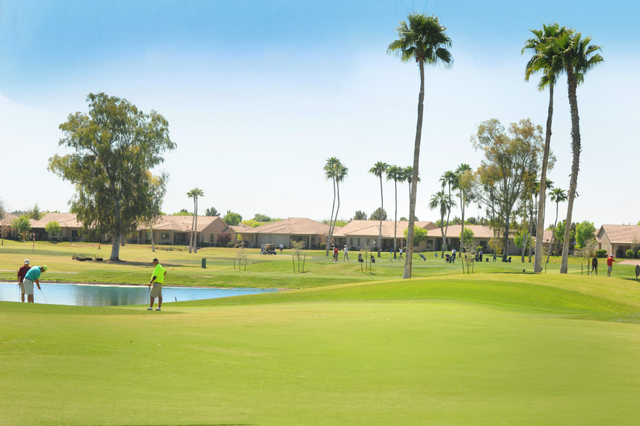 When you buy a home in Sun Lakes you are buying a lifestyle. Located in IronOaks homeowner association this home has access to 45 holes of golf, 14 tennis and pickle ball courts, restaurants, fitness center, walking paths, lakes and many social opportunities such as card clubs and hiking/biking clubs. 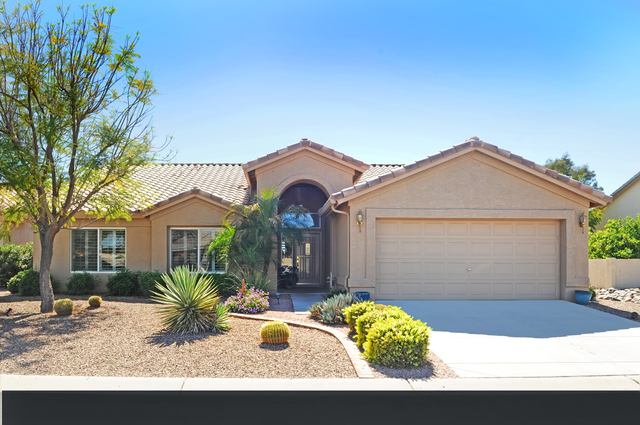 So if you are looking for homes for sale in Sun Lakes AZ look at 24118 Sunbrook. 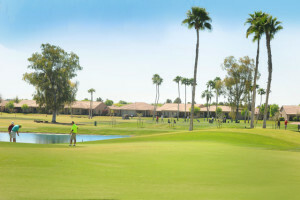 Sit on the covered extended patio and watch golfers approach the #9 green on the Sonoran golf course. Or entertain friends and family with the built in BBQ. There is plenty of room for outdoor living and entertaining in this home and you can’t beat the views! Oh, and the sunsets on this south facing patio are spectacular. For more information on this home contact us at 480-440-0849. Or sign up for new listing alerts below.